So you have a healthy interest in the J. 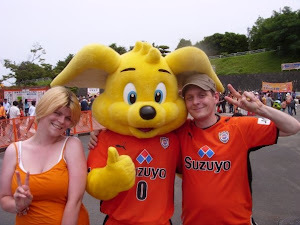 League and are sensible enough to support Shimizu S-Pulse - so far so good. You're not alone - at any given home game you'll always see a smattering of foreign faces in the crowd. However, for members of the Orange Army who don't happen to either A) live in Japan or B) speak Japanese, following the mighty S-Pa isn't always that easy. The S-Pulse official home page goes some way to introduce the club to the English speaking world, but for a new fan wanting answers on where to buy tickets, how to get to the stadium, or even who our next opponents are, it comes up short. I remember only too well the mission it was attending my first game, so this guide is intended to make it as easy as possible for anyone interested to get involved. Football lovers the world over often combine a trip to Japan with taking in a J. League game, and there are few better places to do that than at Nihondaira with S-Pulse as your hosts. Renowned as some of the best supporters in the country, if you're hoping to hit a J. League while in the country, you could do far worse that making the pilgrimage to Nihondaira Stadium in the heart of Shizuoka, Japan's number one football city. Use this guide to help with buying tickets, getting to the stadium and many other useful pointers on the way football is done in J. Land. See the fixture list for information for information on upcoming games. Even though the wondrous UK Ultras blog which will keep you updated with match previews, reports and features to a level unrivalled in the English speaking world, there's another link you need. For up-to-the-minute scores, fixtures and league tables, the excellent SoccerWay.com can't be beat. Updated while the UK Ultras are still stumbling half cut from the stadium, it's the quickest way to keep up to speed with the J. League as it happens. A more specialised and in-depth look into each game is what our blog is for, and we generally publish reports the following day, hangover permitting. First things first: tickets are not available outside the country. Though you need to be in Japan to buy one, it's a fairly easy process. Tickets can be bought at most convenience stores by way of a funky little machine which stands in the corner looking for all the world like a colourful ATM. Good examples are the ones in 7/11, Lawson, and Family Mart. In Japanese only, they can seem an imposing prospect if you don't read kanji, but fear not. Back when I spoke not a word of Japanese, I would walk into 7/11 armed only with a scrap of paper with the game, date, and type of ticket I wanted scrawled on it. The shop staff would be only too happy to walk me through the process. Aside from convenience stores, there are no less than eight S-Pulse club shops dotted around Shizuoka Prefecture. Of these, the ones in Shizuoka, Shimizu, Yaizu, Fuji and Sunto all sell match tickets. Again, even if you don't speak Japanese, jotting down the opponents and the date will be enough to get your message across. The club shops have pictures of different views to help you choose where to watch from, more about which, below. Lastly, for all but the very biggest games you can pick up tickets at the ground on the day. Nihondaira's capacity is only really tested a handful of times a season, such as on derby day, but it's always worth getting tickets beforehand if for no other reason than it saves you a couple of quid on the price. 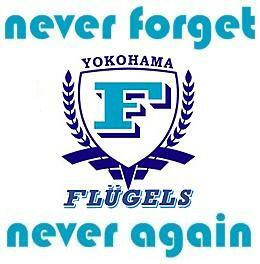 Season tickets are available which can save a good few thousand yen over the course of the year. These come in either full season or half season packages. Full season tickets are available up till around three weeks before the start of the season, and half season tickets for the final 7 or so games go on sale a couple of months into the season. Check the official home page for prices etc. Officially speaking, we have two home grounds, Nihondaira and Ecopa, although the reality is that all but one of our home games are played at 'Daira. It may be half the size of Ecopa, but it's got the advantage of being in Shizuoka City, rather than an hour train journey away. This page from the official site is in Japanese, but is fairly self explanatory letting you see the type of views you can expect. The picture above is taken from the Main Side Stand, looking towards the West Stand. In addition to the above there's also the East (jp: higashi) End Stand, but being the away end, if you're buying tickets in there, to hell with you. ;-D Just to confuse matters, the East and West end stands are referred to as the Higashi and Nishi Side Stand respectively, despite clearly being ends. SS Zone is great fun if you want to spend half the game asleep, with S Zone only mildly less sedate. It's worth noting though that S and SS Zones are the only parts of the ground with reserved seating, so if you have your ticket in advance, you can turn up five minutes before kick off and waltz into your seats. No other areas afford this luxury, and spaces fill up fast. A Zone is fine if you want to concentrate on the game rather than singing, and it also provides a first rate view of the behind-the-goal-show which is always worth watching. But to get involved with all the fun of an S-Pulse game, you'll be needing a ticket for the thick of the fray: behind the goal in the West Stand, otherwise known as The Kop. The first tier affords protection from the elements, but upstairs you can join in the non-stop singing, dancing and general fun and games which accompany every match. It comes highly recommended! As mentioned, aside from S and SS Zones, everywhere is unreserved. People generally get there very early, so good seats go within an hour of the gates opening. If you're in a big group, you'll often have trouble finding spaces together if you don't get there in plenty of time, so bare that in mind when planning your day. Being lucky enough to play in one of the most atmospheric grounds in the J. League is tempered by the fact that getting to and from ’Daira can be something of a mission. Hopefully the following directions will give you a bit of a helping hand in finding Nihondaira that first time. Kansai Airport (Osaka) Once you've arrived in Osaka, Tokyo bound trains on the Tokaido Shinkansen from Shin-Osaka will take you to Shizuoka. Some Hikari and all Kodama services will stop at Shizuoka. Nozomi services do not stop at Shizuoka, but it is possible to ride a Nozomi as far as Nagoya and change to a Hikari which stops at Shizuoka, or any Kodama. Journey time is around 1 hour 45 minutes. Centrair Airport (Nagoya) From Nagoya, Shizuoka is easily reachable on the Tokaido Shinkansen on a Tokyo bound Hikari stopping at Shizuoka, or any Kodama service. Nozomi services will not stop at Shizuoka. Journey time is around 1 hour. Narita Airport (Tokyo) After the trip from the airport into Tokyo, Shizuoka is easy and quick. Nagoya or Shin-Osaka bound Shizuoka-stopping Hikaris, or any Kodama services on the Tokaido Shinkansen will get you there. Journey time of around 1 hour. In all of the above cases, Hikari services are faster than Kodama. Shizuoka Airport (Shizuoka) Mount Fuji Shizuoka Airport is a 55 minute bus ride from Shizuoka Station where there is direct access to Nihondaira Stadium on match days. Alternatively, there is a 25 minute bus ride available to Shimada Station where local line trains will take you to Shizuoka (25m) or, if you stay on the line, to Shimizu (35m). If travelling to Japan, you will probably want to consider the Japan Rail Pass for a convenient way to get around. Once in Shizuoka City centre, special match day shuttle buses run from the north exit of Shizuoka Station (opposite Hotel Associa), which at ￥600 one way are cheap enough. Depending on traffic, these can take up to an hour with no toilet breaks (hugely important on the return journey!) so I usually split up the journey by taking the train from Shizuoka to Shimizu (10 minutes) and then a shuttle bus from Shimizu Station. Shuttle buses in Shimizu run from the east (jp: higashi) side of the station. From Shimizu the buses are ￥300 one way and take twenty minutes going, but can end up pushing an hour coming back. In both cases, the ticket spots are easily found, with huge S-Pulse flags flying. These buses start running three hours before kick off, which is usually plenty of time, but for sold out or otherwise busy games (pictured), you might want to get there earlier. In this case you can take a regular bus from the terminal at the west (jp: nishi) side of Shimizu Station. Most buses from stop numbers 6, 7 and 8 will take you there - just follow the other orange shirts! This costs ￥320 one way, and you need to get off at Nihondaira Undou Kouen Iriguchi which is a ten minute walk from the ground. Again, just follow the other orange shirts! Especially eager fans can be found at midnight the night before games taping down plastic sheeting outside the stadium to save their space in the queue. You can do this so long as you turn up the next day at least thirty minutes before the gates open to claim your reserved spot. Since 2009, we've played one game each season at Ecopa. Usually against Urawa, and usually scheduled on a bank holiday weekend to bring in the crowds. This 50000 seater stadium is well served by the bullet train at Kakegawa Station or the local line at Aino Station. Shuttle buses run to the ground from Kakegawa, while from Aino it's walkable in 15 minutes. Ticket prices are the same as for Nihondaira, and a seating guide can be found here. The Kop gets transplanted to the North Stand (the blue stand on the left) for home games at Ecopa. Needless to say, a bright orange t-shirt and / or scarf is mandatory attire for all S-Pa games! Aside from the normal replica shirts on sale (ie, the same ones the players wear) you can also buy much cheaper versions for around ￥3000. There is no need to be restricted to official club goods, however. At any given home game you will see hundreds of people with hand made flags and banners. That number includes us, of course, with our very own hand made UK Ultras flag! Also extremely popular among our numerous different ultras groups are uniquely designed and self-funded t-shirts, scarves and colossal banners which cover half the stand. We are in the process of creating t-shirts for our own fledgling ultras troop, and any new fans shouldn't feel embarrassed about doing the same! With all the time, effort and money put in by our various fan groups, and the thousands of other individuals, the atmosphere is nothing short of a party of colour, noise and music for each and every home game. The samba band which follows the club all over the country also helps see to that, and the regular huge choreographed displays are the direct result of supporter efforts. Such a positive and passionate fan base thrives on new blood and new ideas, so what are you waiting for? Get down 'Daira and get involved! The season starts in March when it can still be quite chilly, and runs through spring, summer (typhoon season included) before ending in December. In Shizuoka the full range of the varied Japanese weather is encompassed, and with the majority of the ground being uncovered, you need to come prepared. Brollies aren't an option during the game, so for the wet days you'll need a decent rain coat, or you can buy a highly fashionable orange plastic mac at the ground. In the summer Shiz gets very hot and humid, and you run the opposite risk of being burnt to a crisp, so pack the suntan cream. Aside from that, you may want to take BEER. You're more than welcome to bring your own booze, indeed there are special bins put aside for empty cans. There are no Draconian European-style drink laws in the J. League, so get a six pack on your way to 'Daira and enjoy. As any football fan will tell you, home games are only half the fun of supporting a team. Heading out on the road in your colours is a totally different experience, so why not take it to the next level with some away game action? As a foreigner in Japan, what better way to see some of this great land than combining sightseeing with an S-Pulse away day to Tokyo (pictured) / Osaka / Yokohama / Kyoto etc? Unless you join an official tour bus, away tickets can't be bought at the club shop, so you'll have to get them from a convenience store which can be done as described above. For help getting to away games, this site is invaluable for finding out information on the J. League’s many stadiums. Amongst other stuff, it gives you details of the nearest stations and bus stops to the ground. This information, used together with the rail journey planner found here, will give you everything you need to know to get to an away game. Another useful place to look for info about stadium access etc is the ground in question’s Wikipedia page. A good example of this is Ecopa’s article. S-Pa have a good away following, and being located slap bang in the centre of Honshu, we're in easy reach of many other J1 teams, so join the fun. If you're not quite ready to start making your own S-Pulse shirts, scarves, toys etc, all the above are of course available in their official, club produced incarnations. You can find these either in the club shops mentioned above, or the various other S-Pulse themed places in and around Shizuoka; pictured is S-Pulse Dream Plaza in Shimizu. Alternatively, you buy pretty much anything you need at the ground on match days, and in doing so rest safe in the knowledge you're also contributing to the fund for our next big signing. The official online shop does not have an English language service, nor does it offer international delivery. There are a few websites which sell J. League shirts, but whenever I've searched they all seem either out of date or out of stock. If you're aware of a good, up-to-date retailer, do leave a comment so we can add the link here. You can learn all about the one S-Pulse song you can't do without, Loco Loco, here. Other than that, good sources of general information in English are the team's Wiki page, Nihondaira's Wiki page, The Rising Sun's S-Pa page, and of course the official English home page. If there's anything else you need to know, (or if I made any mistakes!) just leave a comment and I'll add the info. Hopefully this guide was useful, and you'll enjoy being a fan of a truly unique footballing experience - Shimizu S-Pulse! If you need any further convincing to get down to 'Daira, here's a compilation video I threw together myself with just a tiny selection of the fun to be had as an S-Pa fan - enjoy! I think that all of us English-speaking J-Leaguers should at the very least write guides about the fan culture/chants/etc. It's important stuff and it should at the very least be recorded for history's sake. These blogs are a real labour of love. It's not always easy to find the time, but in the short while this one's been going, I've had visitors from all over the world. There's real interest out there, so until teams start providing decent English language coverage, I guess it's down to us lot! In English we use the word stadia not stadiums. Thanks for your post Mr. / Mrs. Anonymous! In English we can use either stadia or stadiums as the plural of stadium. A superb guide and to be frank I`d tell Mr / Mrs Anonymous to stick their stadia/stadiums nonsense right up their arse. Is there ANYTHING more petty on this earth than an internet spelling/grammar detective??? This is Eric, a fellow teacher who has met you at the Summer English camp. Sorry you could not attend this past one. It was fun. I just wanted to congratulate you on your fan site. It's really excellent and so full of enthusiasm and energy. A good reflection on S-Pulse's energy!! I wish you and the Pulse the best of luck this season. I hope to see you passing by me on my bike when you are on the bus in Sena sometime soon! Hi Eric - great to hear from you! Yeah, I wished I could have joined that camp again this year, I've always had a good time there in the past. I'll be working in Sena until the end of the year, so I'll keep an eye out for you! Im hoping to visit Japan & South Korea next May and hope to get to a Pulse fixture. Why cant every club have an indepth guide like this? Top stuff. Thanks, Steve! Glad to hear the guide is coming in useful to people. As the time gets closer feel free to message me via this blog if you have any questions. I'll still be around then and will be happy to help out if you need it. To me, the appeal of club football lies as much in what happens in the stands as it does in what occurs on the pitch. There is probably no better - and quicker - introduction to a region's culture than through it's local football supporters. This is something your site portrays better than any other I've seen. I've noted your comments on the difficulty English-speakers would have in getting fan merchancise from afar. I collect football club pin badges, and have tried to find one club to support from each major league worldwide. Based on your passion for S-Pulse, I've decided they will be my J-League club. Could you tell me how to get their pin-badge? I'm happy to reciprocate by sending you some badges from my collection, such as FC Seoul, Feyenoord,etc. Ignore me if I'm a pain. Thanks again for visiting and welcome to the world of S-Pulse fans! First off, nice blog. I've been a casual fan of Japanese football for a few years now but this year I finally decided to go all-in and found myself supporting S-Pulse all of a sudden. Must be the orange. Being part dutch I'm crazy about orange. And that actually brings me to my question. Is it still impossible (or at least really hard) to get an S-Pulse jersey without visiting Japan? I'm a university student right now, so my yearly budget is quite small, and it's really, really expensive to fly from Finland to Japan. Thanks in advance for your answer, and also for this great site. It's a great introduction to the club. Hi Teo, and oh my word - I'm so sorry. I have this account set up so emails go to my Hotmail account when comments are posted, and yet somehow the notification of your message slipped past unnoticed. I just had some spam posted here I cam to remove and noticed your post. Sooooo, nearly two years late, but yes, it generally is still quite hard to get J. League shirts abroad. Not impossible, though. There's a couple of ways, but it can be very expensive. Not only shipping, but the shirts themselves are overpriced (to be fair, one of the very few things in Japanese football supporter culture which is). If you use Twitter and give https://twitter.com/JLeagueShirts a follow I'm sure he can help you out. It isn't cheap, though! Great to see that the J league is being watched and loved by fans across the world! I am planning on travelling in Japan for 5-6 months beginning next August and I am dead set on coming to a game and bouncing in the S-Pulse Kop! 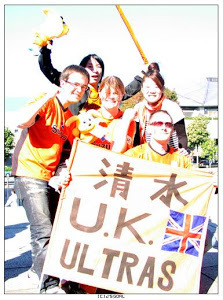 Was wondering if there are any ways to contact you whilst I am there and whether it would be possible to meet with yourself and other S-Pulse UK Ultras, as I am a huge fan of the Ultra scene. I realise this is some way off and plans change but thought I would make the initial enquiries. Keep up the good work! The easiest way to contact me is via email, and I'm on barryvalderAThotmailDOTcom It's so far away that I don't know what the schedule will be be like (I think that'll be out in late January), so once we have that I guess you can plan a visit to Nihondaira. I don't go to every game like I used to, but if I'm around then we can definitely catch up. Anyway, hit me up via email and in a few months from now we'll know what the fixtures will be.